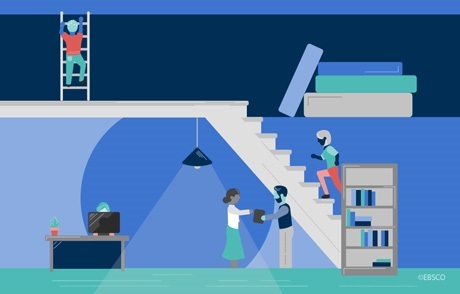 Providing great customer service to our customers is one of our core values and top priority at EBSCO. To recognize National Customer Service Week, meet Mindy Ransom, one of our customer service representatives for the Subscription Services Division who recently received the Outstanding Teammate Award. 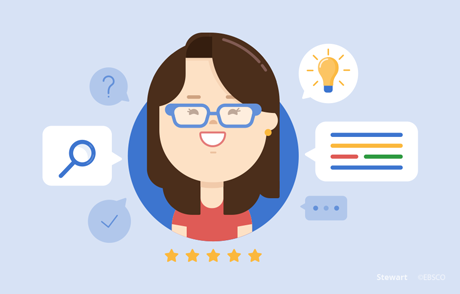 Learn about Mindy’s role at EBSCO, and a few things she wants customers to know about the new customer service portal in EBSCONET® Subscription Management. Tell us about your role at EBSCO. 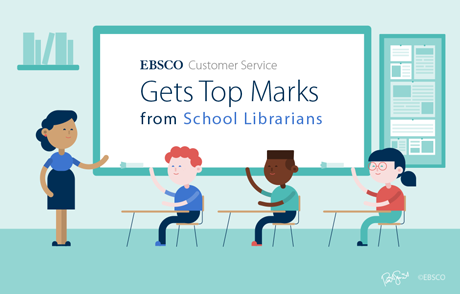 I have been with EBSCO for six years as a customer service representative on the academic team and I also serve as team lead. My main responsibility is to ensure our customers receive the best customer service possible. I do this by addressing requests in a timely manner, problem solving and essentially serving as an extension of the library. In addition, I assist other customer service representatives with requests from their customers and provide support to them as much as possible. As you are entering the busiest time of the year (renewal time for many customers), what advice would you give customers about how to make the renewal process go smoothly? The sooner you can return your renewal lists, the better! When there is a delay, you run the risk of a lapse in service and lost access. If you have any questions while working your renewal, your customer service representative is here to help. Ask us anything – did you forget how to submit your renewal in EBSCONET, need price quotes, have online access questions, title status questions, etc.? We’re here to help! My main responsibility is to ensure our customers receive the best customer service possible. We are always striving to streamline workflow for our customers. No two days at work are the same, I literally learn something new every day! The serials marketplace is always changing, and our customers’ needs continue to evolve. We are always striving to streamline workflow for our customers. For example, we’ve been releasing enhancements to EBSCONET such as real-time pricing updates on renewals, Title Change Notifications, and a comprehensive view of financial transactions. Also, our new customer service portal was released just this week, which will provide a centralized view of service requests pertaining to orders, and related alerting functionality. 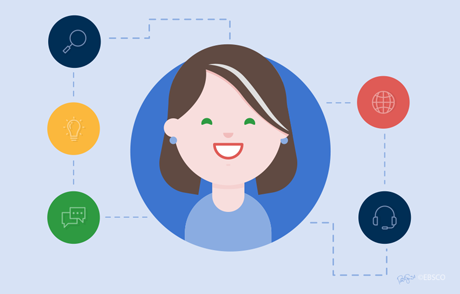 What do you want customers to know about the new customer service portal? The customer service portal was designed with our customers in mind! The customer service portal allows customers the ability to communicate directly and place service requests with their customer service representative from within EBSCONET. You will still work with the same customer service representative, you just have an additional method of communication. Via the customer service portal, you can initiate service requests at the order level, or submit general questions, view service requests and statuses centrally in the portal or at the order level, and receive alerts when changes or updates are made to service requests. I think this new way of communicating will be a real asset to our customers, but you can still contact us however you prefer. I am a bit of an Atlanta Braves fanatic. I went to my first Braves game on my friend’s 16th birthday and have been hooked ever since! I have a dog named Turner, named after Turner Field. My husband and I have also been to a Braves game every year since we started dating. We went to one on our honeymoon and our one-year anniversary. We already have tickets to the first home playoff game. I also enjoy fishing in my free time. I have a pink Zebco fishing rod and recently went on a fishing trip in Florida and caught a 35-40-pound red fish. A photo of the fish hangs in my office. 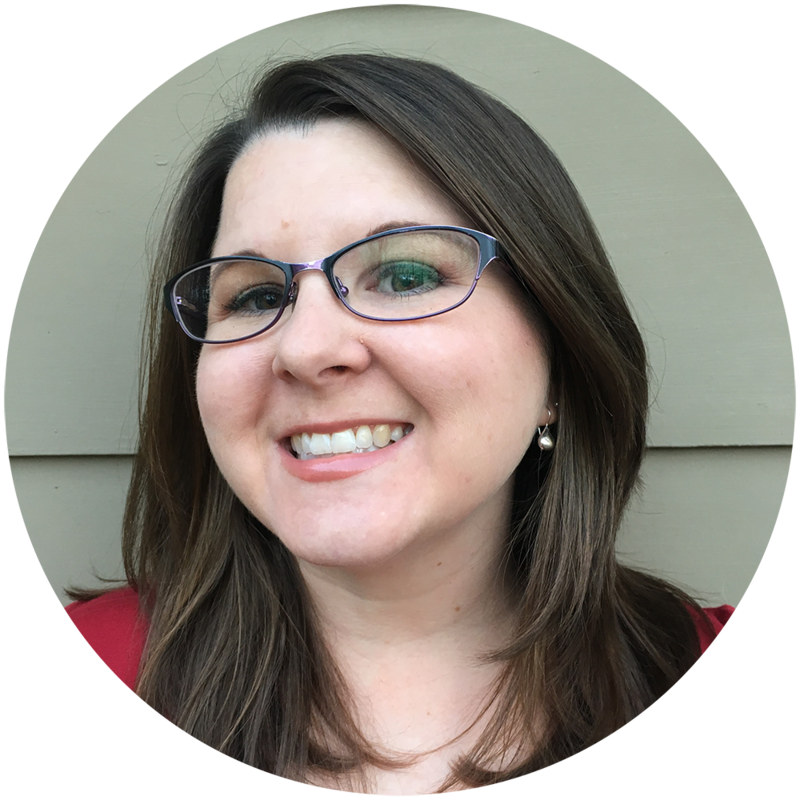 Mindy Ransom is one of EBSCO’s customer service representatives for the Subscription Services Division in the U.S.